The fastest growing life insurance segment continues to be Indexed Universal Life (IUL), as more and more people and businesses are finding that it is the best life insurance available to meet their needs and goals. In the following article, we will help shed some light on which companies offer the best IULs, what are the many benefits indexed universal life provides, as well as list some of the potential pitfalls you should be aware of. We have already written a comprehensive review on indexed universal life insurance pros and cons. The following article will repeat many of the benefits and potential pitfalls listed in that article, but please check out our pros and cons article for a deeper dive into the subject. There are different types of life insurance policies available, ranging from term life insurance, which is pure death insurance, to traditional dividend paying whole life insurance, which provides cash value growth in the policy. Somewhere between term life and whole life is Universal Life Insurance. Universal life is cash value life insurance which provides similar benefits of both term policies and whole life policies, depending on the type of universal life policy you choose. An indexed universal life insurance policy, aka IUL insurance, or simply IUL, is similar to traditional universal life (UL) in that it offers a death benefit and a cash value account that increases over time. And with a universal life insurance policy, the funds in the IUL cash value account grows over time and can be accessed in the form of partial withdrawals or policy loans. It can also be used to purchase more death benefit. Where IUL differs from UL is that these policies enable policyholders to invest some or all of their available cash account in a subaccount option based on the performance of market indices such as the S&P 500 or the NASDAQ 100. The ability to invest in equity-linked subaccounts with your IUL cash account offers you the chance to experience faster growth during periods when the stock market performs well, subject to policy features such as cap and participation rates. These features limit how much such subaccounts can grow relative to the performance of the linked index. And IUL should be differentiated from Guaranteed Universal Life, where the focus of GUL insurance is on the death benefit. In contrast, most IUL policies are focused on high cash value accumulation and growth. Variable Universal Life (VUL) is similar to IUL insurance but has some distinct differences. When comparing VUL vs IUL, it is important to understand that an VUL is different to an IUL in that, VUL insurance actually participates in the market returns via subaccounts that act like mutual funds that the owner of the VUL can invest in. 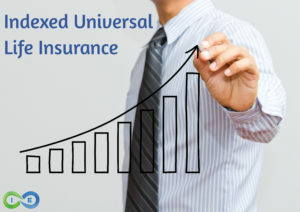 Since it invests directly into the market, a variable life policy has potential unlimited upside and downside, placing it into a higher risk vs reward category that IUL insurance. .
An attractive feature of Indexed Universal Life policies is a floor rate, which represents the minimum an index-linked subaccount can earn (or the maximum it can lose) in any one period. The floor rate sets a limit on how much a subaccount can lose, or the minimum it can gain, in any one year. This floor rate is typically set at no less than 0%, which means that even if the index being tracked by your subaccount loses money in any one year, your account will not suffer a performance loss, although some fees or costs may result in a small loss. In some cases, the floor rate is positive so that whatever the market does, your subaccount will earn at least 1 or 2% interest or whatever rate the floor is set at for the year. While floor rates limit the risk of investing some portion of your cash account in an index-linked subaccount within an IUL, the potential to experience gains along with the stock market is the main draw of these types of policies for many. However, when selecting an IUL policy, it’s important to pay attention to its cap rate and participation rate, as these will determine how much upside you can earn when the market rises. The cap rate is the maximum percentage growth a subaccount can experience in any one crediting period. This rate varies from one company to the next but is often in the range of 9-13%. If your policy has a cap rate of 12% and the market rises 20%, the most you can receive for that crediting period would be 12%. A cap rate usually is locked for one year and can be changed at the insurer’s discretion after the lock has expired. The participation rate determines what percentage of the growth realized by the index the subaccount tracks will be credited to your account, subject to the cap rate. For instance, if the participation rate is set at 85%, and the index returns 20% for the year, the amount your account would be entitled to receive, subject to the cap rate, would be 17% (85% of 20%). Further, if the cap rate was 12%, you would receive 12% rather than 14%. If the index returned 10%, you would receive 8.5% (85% of 10%). As with a cap rate, a participation rate is typically locked for a year, and can be changed by the insurer after the year has elapsed. So, what is actually going on inside of these IUL policies? When considering on any specific Indexed Universal Life policy, it is important to understand the mechanics of how these policies work. IUL policyholders can generally choose to allocate the funds within their policy’s cash account between a fixed account and one or more index-linked subaccounts. This involves a computation of the growth (if any) in the subaccount after taking into account the floor, cap, and participation rates after which this amount is credited to the account. For instance, if your subaccount was linked to the performance of the S&P 500, and it rose 14% for the year, and the account had a 100% participation rate and a 10% cap rate, your crediting rate would be 10% at the end of the year. In most indexed universal life insurance policies, the new cash value of this subaccount then becomes the baseline for the next year when calculating the amount that will be credited to your account. A monthly average of the performance of the subaccount is calculated and credited to the account at the end of each month, after taking into account the floor, cap, and participation rates. To be able to provide the higher credited rates of return that can be generated by equity index-linked subaccounts, insurance companies purchase options on these indices rather than invest in them directly. The usage of cap and participation rates means that they don’t have to directly match the return of these indices, they simply need to generate enough money to pay the relevant amount of interest representing whatever fraction of the indices’ return the policy owes at the end of the year. The insurance company will typically invest the funds not used to buy options in bonds to generate sufficient income to meet the policy floor guaranteed return. It should be noted that index-linked subaccounts do not pay dividend interest associated with the indices they track. For an index like the S&P 500, this is typically a not insignificant portion of the index’s total yearly return. A yearly dividend amount of around 2.5% or even more is common for the S&P 500, which represents a sizable portion of the 9% or 10% yearly total return the index has generated over long periods of time. Due to the mechanics used to generate earnings to pay interest to index-linked subaccounts, the profit an insurer makes on IUL policies is subject to the premiums charged for buying options on the indices being tracked. In periods where volatility increases, insurance companies often must pay more to buy options on indices. This extra expense can cause them to adjust the cap and participation rates to reduce the amount of interest they pay on index-linked subaccounts to maintain their profit margins. So which IUL insurance companies are currently outperforming their competitors? We put together the following list with the caveat that IULs are a very popular segment of the life insurance industry and companies are constantly vying for supremacy, so things can change in the blink of an eye. Having said that, the following companies make our list for the best indexed universal life insurance policies based on policy performance and company strength, listed in alphabetical order. You can click on the specific IUL insurer listed above or go to our life insurance company reviews page for more on these top IUL companies. We use the word “investment” loosely as it relates to life insurance because apart from variable life insurance, ordinary life insurance is not an investment, but rather a savings vehicle or perhaps even a wealth accumulation account. But the word “investment” implies risk, and one of the advantages of life insurance is that it carries no risk of loss. Having said that, the ability of IUL to offer close to stock market-like returns in an insurance policy cash value account, combined with downside protection that typically prevents your account from suffering a loss even if the market declines, has made IUL policies very popular in recent years as an alternative to Wall St. While IUL policies can boost the performance of your cash account over that of traditional UL, the restrictions on how much you can benefit from market movements in the form of cap and participation rates should be studied carefully when considering a purchase of IUL, given their potential to limit the growth of these equity indexed accounts. These restrictions, combined with the lack of any dividend payments from the indices being tracked, means that from a pure growth potential perspective, a direct investment in an index ETF or mutual fund is likely to outperform an IUL index linked subaccount. However, the downside protection of a floor rate combined with the insurance features of an IUL policy make such policies attractive to investors who are not just looking to maximize their potential rate of return. As with all life insurance, the death benefit proceeds paid to your life insurance beneficiary are income tax free. In addition, life insurance loans are income tax free and you can use the money as tax-free income for any use you want. And many IUL companies offer wash loans after 10 years or so, which means your net cost for taking the loan is zero, allowing you supplemental tax-free retirement income, which is what LIRP is primarily about. Another advantage of an IUL is the tax-deferred growth of your cash value. 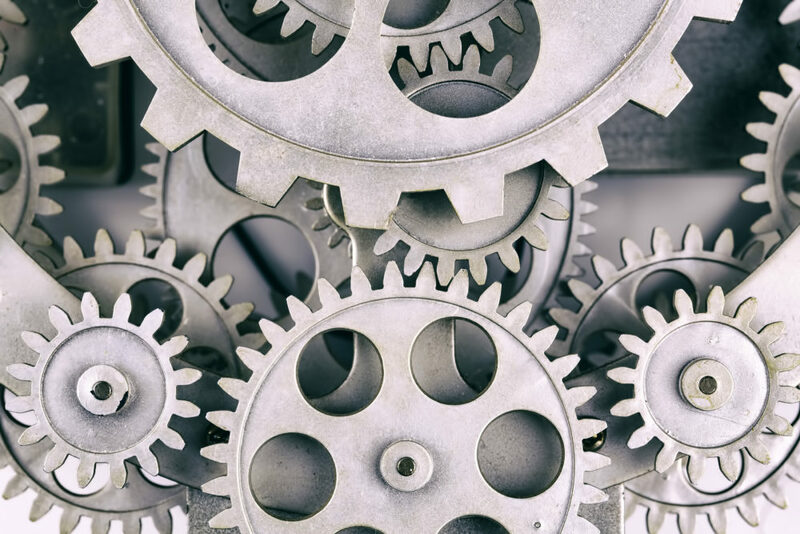 The ability to compound your capital on a fax-favored basis enables your funds to grow more rapidly than would be the case if taxes had to be paid every year. During a period when the stock market is rising steadily, IUL policies are likely to offer better returns than straight UL. However, during periods of high market volatility and flat or declining stock markets, the reverse is likely to be the case. Even if the market is moving upwards, if volatility is elevated the higher costs the insurance company must pay as a result can result in reduced cap and participation rates, reducing the amount of interest credited to your index-linked subaccounts. Given the importance of cap and participation rates to the performance of an IUL, analyzing IUL carriers to see not only their current floor, cap, and participation rates, but also how they have adjusted those rates in the past in response to market conditions is recommended. Because of the expenses involved in purchasing options to mimic the return of an index, within the confines of the cap and participation rates, IULs can feature higher expense ratios than traditional UL policies. As a result, be sure to inquire about the expenses an insurer charges as well as the cap and participation rates it offers. Many people are looking away from traditional long-term care insurance companies and towards companies that offer hybrid long-term care life insurance policies. Companies offer accelerated death benefits that can provide additional protection for terminal illness and chronic illness. Additionally, IUL policies offer long-term care riders or chronic illness riders that provide benefits for qualifying chronic illnesses. Some offer chronic illness riders at no extra charge, while other companies offer LTC riders for an additional cost. The negative buzz surrounding indexed universal life has to do with how the product is marketed. At the end of the day, indexed universal life is not an investment, it is life insurance and should be seen as such. While IULs have proven attractive to investors looking to take advantage of stock market-linked returns in a life insurance format, the marketing of these policies by insurers has in some cases been deemed deceptive by industry observers. This occurs most often when sales material only shows how a policy would perform given positive, steady equity market performance year after year. In reality, the stock market is often volatile from one year to the next. For example, instead of returning 12% two years in a row, the market might advance 24% one year and 0% the next. What would this mean for an IUL with $100,000 cash value on a 12% cap rate, 0% floor rate, and a 75% participation rate? In the first case, you would earn 9% each year for an 18% total return over two years. In the second scenario, you would earn the cap rate of 12% in year one, while in the second year you would earn the floor rate of 0%, for a total two-year return of 12% vs a potential return of 24% if you were directly invested in the stock market via an ETF or Mutual Funds. Another complaint about IUL marketing relates to the lack of disclosure, other than in the fine print, of the insurance company’s ability to change cap and participation rates. As mentioned earlier, these rates are typically only guaranteed for one year, so a hypothetical illustration of returns showing performance over 10, 20 or more years can be misleading if it turned out that during that period the insurance company changed the cap or participation rate. Also, showing high projected performance numbers can mask the effect of high policy fees on the performance of an IUL in periods where market returns are not robust. Because of this, if you are considering purchasing an IUL it is important to look into the product’s projected performance during periods which feature mediocre or poor market performance as well as during periods of good performance. Accurate indexed universal life insurance quotes require a few things. One, you need to speak to an experienced life insurance agent and explain what it is you are focused on, death benefit or cash value, or somewhere in between. You will also need to decide if you need additional riders, such as term insurance, chronic illness or waiver of premium riders. Another variable that determines your indexed universal life insurance premium payments is the death benefit option you choose. Some companies offer up to three different options, such as return of premium, level and increasing death benefits. As the most popular permanent life insurance in the market right now, Indexed Universal Life is a great option for many who want to participate in stock market returns, without actually being invested in the market and subject to risk of loss. IULs have a lot to offer and should definitely be considered as part of a well rounded wealth building strategy. To find out if an IUL is the best life insurance for you, give us a call today for a free strategy session as we go over your specific needs, goals and objectives to help you determine what is best for your unique circumstances. Interested to learn about IUL vs. Strategic Whole Life policy — and to possibly sell the products. Thank you for stopping by. Please be on the lookout for an email from Jason@insuranceandestates.com.